Sea-Tac is a major embarkation airport for flights to Alaska and across the Pacific. From the airport, downtown Seattle is about 13 miles north, or about 35 minutes drive time in normal traffic. The Sound Transit Link light rail service operates from the airport to downtown Seattle and the University of Washington. Trains depart every 6 to 15 minutes, depending on the time of day, from 5 a.m.-1 a.m. Scheduled travel time from the airport to downtown Seattle is 31 minutes. To reach the airport station, go to the parking garage 4th level and follow the signs. Sea-Tac airport’s passenger complex consists of a single Central Terminal with airline check-in counters and baggage claim for all airlines. There are four concourses containing the A, B, C and D gates and two satellite gate areas containing the N (North) and S (South) gates. The A-D gates can be reached from the Central Terminal by walkways and moving walkways. Underground automated people movers connect the N and S gates with the concourses and the Central Terminal. 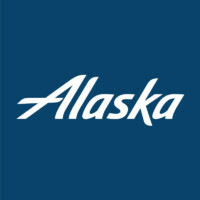 Alaska Airlines flights arrive and depart at the C, D and N gates. 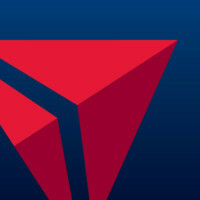 International flights may arrive at the S gates. Connecting passengers can reach all other gates, either by walkways and moving walkways or automated train system without exiting the TSA secure area. Delta Air Lines flights arrive and depart at the A, B and S gates. Connecting passengers can reach all other gates, either by walkways and moving walkways or automated train system without exiting the TSA secure area. Flying into Seattle, the sight below is of evergreen trees, the blue water of Puget Sound, Lake Washington and the Pacific Ocean and, in winter, a mixture of snowy white. Famous for coffee, the city is vibrant and cosmopolitan. The Space Needle, built for the 1962 World’s Fair, is still a major attraction even if it is a mid-20th century look at the future. Get ideas for your trip to Seattle at Visit Seattle here.